Gary Mackay was born February 14, 1943 in Provo, Utah. Although he spent some of his youth growing up in Provo, he favored spending time on his family’s ranch in southern Utah where he was first introduced to livestock. His early experiences on the family ranch developed Gary’s lifelong appreciation for horses and livestock. After high school, Gary went to work on a cattle ranch in southern Oregon and later pursued a career as an ironworker. In 1969, he married his wife, Judy. They have one daughter, Gayle, and three grandkids. In 1969, Gary moved to Yakima, Washington, and that is where his rodeo volunteering began. He helped put on the all Indian rodeos, which was the link to his lifelong commitment to rodeo volunteering. After relocating to Reno, Nevada, Gary began helping with the junior rodeos, gymkhanas, and high school rodeos in 1973. In addition, he volunteers for the Reno Cattle Drive and the Reno Rodeo. 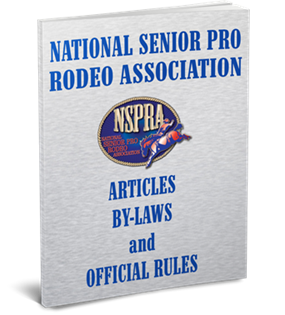 Gary joined the National Senior Pro Rodeo Association in the mid 1990’s when their finals were located in Reno and has been helping with their rodeos since that time. Gary enjoys the challenges of sorting the animals, seeing that every cowboy has his drawn stock in the proper sequence, and feeding and caring for the animals. Whatever chore Gary commits to will be done! He especially enjoys the friendships he has made with the cowboys and others involved with the senior rodeos.